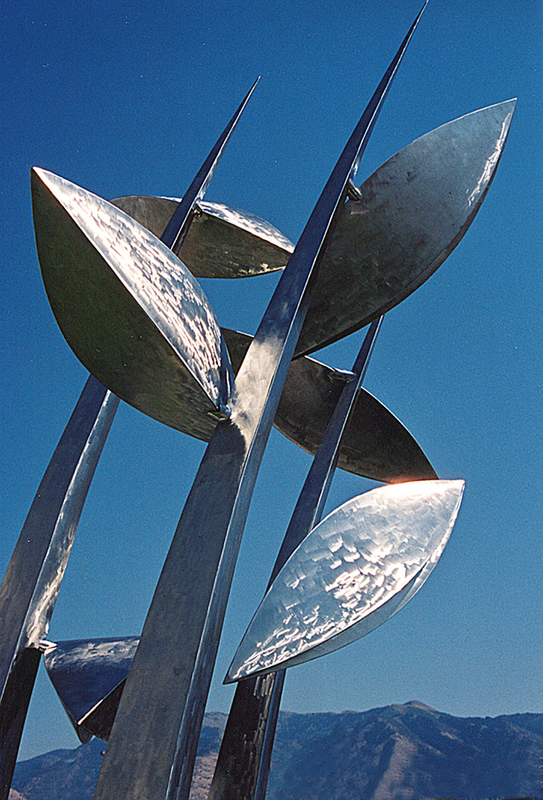 Capturing the dynamic movement of the biblical manna falling from the desert sky, this sculpture attempts to create a sense of motion and energy. Manna-like shapes are randomly suspended from the strong curvilinear lines of the soaring spires. This biblical act of nurturance alludes to the goals of the newly built Health Wing, where students are trained in various health disciplines, invariably to help and nurture others. 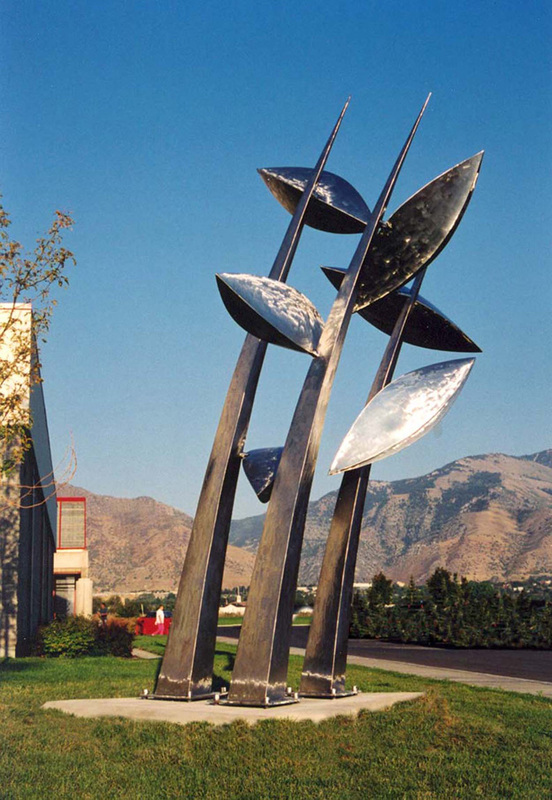 Created for the Bridgerland Applied Technology College, Logan, Utah. This sculpture was awarded as a result of a National Competition.